What project is Inscreed Cable designed for? 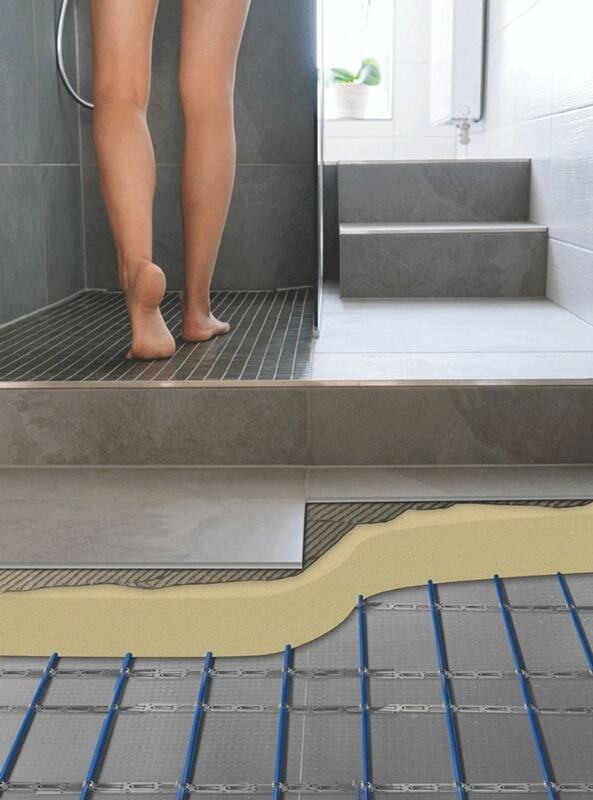 If you are looking for underfloor heating for concrete floors, the Inscreed Cable System is designed for this purpose. Inscreed Cable heating is especially ideal for installations within concrete floor constructions in new builds where the floor height is not an issue. For retrofit in existing concrete floors where there is less room to alter the floor height, another electric underfloor heating system may be a more suitable option. The Inscreed Cable electric underfloor heating system is designed for installation in concrete screed thickness of 50mm to 100mm. One of the best screeds to use for this process is from Instarmac’s UltraFloor range. If insulation is absent or beneath more than 100mm of concrete subfloor, insulation boards must be used to ensure optimum heat-up times. The Inscreed Heater is suitable for almost any flooring finish and in particular where the flooring (wood, carpet, vinyl) may be replaced from time to time. The slower heat-up and cool-down time of the Inscreed Cable makes it particularly suitable for rooms which are in constant use, as the screed can be used as a form of storage heating; making effective use of cheaper, low-tariff energy usage. 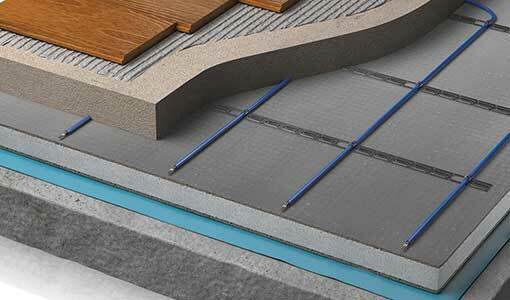 If you are looking for underfloor heating for concrete floors, the Inscreed Cable is designed for this purpose. The Inscreed Cable is especially ideal for installations within concrete floor constructions in new builds where the floor height is not an issue. For retrofit in existing concrete floors where there is less room to alter the floor height, another electric underfloor heating system may be a more suitable option. Without damaging the heater, saving money and increasing flexibility. Inscreed Cable works with any floor covering compatible with underfloor heating. If a tiled floor is being laid on top, flexible tile adhesive and grout must be used with the Inscreed Cable electric underfloor heating system. With laminate or engineered wooden board floors it is essential that the flooring is no more than 18mm thick to ensure that the heat can transfer through. If you are using a layer of soft insulation beneath the flooring it must be compatible with installation on top of an underfloor heating system. 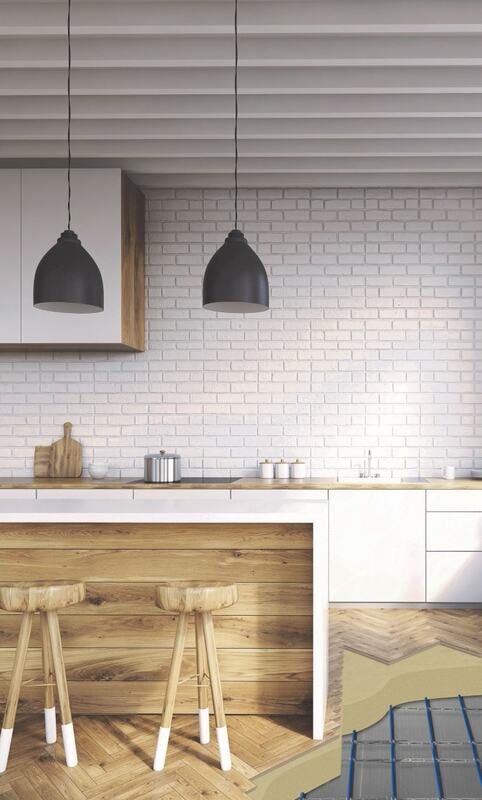 Concrete provides quick heat-up times and retains heat well, even storing the warmth produced by solar gain, making a heated polished concrete floor a great option to improve the comfort and warmth of your home. For carpeted floors, hessian backed carpets must be used and the Tog rating of the carpet and underlay must not exceed 2.5 tog. Before starting any installation it is important to first read the installation manual. If the concrete base is thicker than 100mm or the subfloor is uninsulated, it is recommended to apply insulation boards and lay the wire directly on this insulation. If the concrete base is less than 100mm thick or insulated, the wire can be laid onto the concrete slab. While the latter option is acceptable, insulation directly below the heating cable will improve the efficiency of the system. Before you start, make sure the subfloor is of a suitable material as well as suitable for screeding and is rigid and free of dust and debris. The Inscreed Cable should be laid at least 50mm apart and a minimum of 50mm deep within the screed. To secure the Inscreed cable to the subfloor you will need metal fixing strips. The metal fixing strips are laid out perpendicular to the heating element and fixed to the insulation board or the concrete floor using fixing nails or an adhesive; always ensuring there is no movement of the fixings. The heating cable is then laid up and down the room and clipped into the metal fixing strip. Always space the cable evenly to ensure an even distribution of heat in the floor. After the cable is in place, the next step is to screed over the heating system by carefully pouring cementitious screed over the fixed in Inscreed Cable to a depth of at least 50mm. Place the floor probe supplied with the thermostat as close to the final floor finish as possible, embedding it in the screed. Finish the installation by wiring the heating cable to a thermostat. Once the screed or levelling compound is fully dried you can lay the final floor covering.